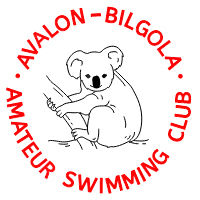 Avalon Bilgola Swimming Club is a non-profit organisation which exists for the enjoyment of our members. We have been in existence since the mid-1960’s, and currently, have around 100 members. Races start at 9:00am, entries close 8:45am, with events for all the family. We have a 100/200/400m event then 3 handicap (15/25/50m) events in Freestyle and 2 of the other strokes or 2x50m Relay each morning. We cater for all standards of swimmers, from the social swimmer to those who enjoy some fun competition. Being handicap events everyone has a chance of winning with a big emphasis placed on the point-score. We are affiliated with Warringah Amateur Swimming Association.